Salman is expected to appear in federal court in Oakland on Tuesday at 9:30 a.m. The wife of Orlando mass shooting gunman Omar Mateen was arrested on Monday in the San Francisco Bay Area in connection to helping her now-dead husband, thought to be behind the country's deadliest gun massacre this summer. The New York Times first reported, citing a law enforcement official, that 30-year-old Noor Salman was arrested at her family's home outside San Francisco in connection with the June 2016 attack at at the Pulse nightclub. 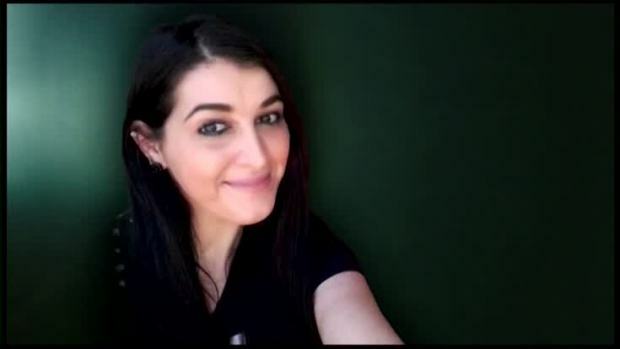 Orlando police later clarified that she was arrested on charges of aiding and abetting by providing material support to a terrorist organization and obstruction of justice. In June, a source close to the family told NBC News that Mateen sent his wife a text message during the rampage, asking her, "Do you see what's happening?" After swapping texts, she tried to call him. NBC Bay Area obtained exclusive surveillance footage taken in the neighborhood of the moments before her arrest. The black-and-white video shot at 7:36 a.m. Monday shows two Alameda County sheriff's deputies standing on the sidewalk as at least three men in plain clothes walk by quickly on the sidewalk. The case is being handled by the U.S. Central District Court in Florida. Neither charging documents nor federal affidavits were online on Monday. Alameda County jail records, however, show Salman was being held on a witness tampering "etc." charge. Online records indicate she was arrested Monday at 8:13 a.m. and was being held without bail at Santa Rita Jail. Before heading to Florida, Salman is expected to appear in federal court in Oakland on Tuesday at 9:30 a.m.
"I am glad to see that Omar Mateen's wife has been charged with aiding her husband in the commission of the brutal attack on the Pulse nightclub," Orlando Police Chief John Mina said in a tweet. "Federal authorities have been working tirelessly on this case for more than seven months and we are grateful that they have seen to it that some measure of justice will be served in this act of terror that has affected our community so deeply." Salman's relative declined through a screen door to comment when a reporter knocked on her home in Rodeo, California, on Monday morning. Neighbors told NBC Bay Area that the family didn't appear to be at home on Sunday, and there was no sign of police presence on Monday morning. "I'm not really surprised because I felt like something might transpire," neighbor Catherine Lawrence said. "If she was connected with this guy, then she may have known more than what she was saying." The FBI has arrested the wife of Pulse nightclub shooter Omar Mateen. Noor Salman was taken into custody in San Francisco. Salman is charged with aiding and abetting by providing material support to a terrorist organization and obstruction of justice, Orlando police said. Forty nine people were killed and 53 wounded in the June 12 attack at the Orlando gay nightclub. Mateen, who pledged allegiance to ISIS during the attack, was killed in a firefight with police. Salman told the Times in an interview in November that she was "unaware of everything." Since the massacre, Salman was said to have been cooperating with the FBI. Salman's parents live in Rodeo, California, and the FBI has previously visited that location to interview her, NBC News reported. Rodeo is a small city, with a population of 8,600, in Contra Costa County near the San Pablo Bay — about 45 minutes from San Francisco. Her mother’s neighbors in Rodeo have told NBC Bay Area that Salman was the daughter of Ekbal Zahi and Bassam Abdallah Salman, who died of a heart attack several years ago. The couple has three other daughters — the youngest is 14. Salman's mother still lives at the home with her youngest but has not spoken out publicly about the shooting. According to neighbors, Salman attended John Swett High School in nearby Crockett, California. Salman married Mateen, neighbors said, and moved to Florida about five years ago. Salman has a 4-year-old child and has filed court documents to change the boy's name. A hearing is scheduled for February. NBC News' Andrew Blankstein and NBC Bay Area's Lisa Fernandez, Pete Suratos and Jodi Hernandez contributed to this report.